Bhartiya Janata Party's president and poll strategist Amit Shah, will today visit Lucknow to discuss poll strategy with party leaders ahead of the much-awaited Uttar Pradesh Assembly election scheduled for 2017. This will be Shah's second visit to the state capital in past four days. 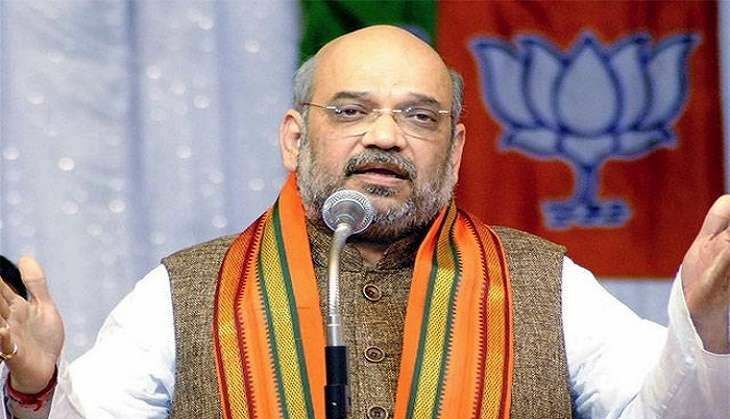 According to a Pradesh18 report, Shah will be addressing a meeting of booth-level workers in Kasanganj along with state BJP chief Keshav Prasad Maurya, where he'll reportedly guide the workers about their roles and will assign them their responsibilities in the party in view of the election. Shah had addressed the first booth-level meeting on 4 June in Kanpur where workers from Kanpur and Bundelkhand region had participated. Shah, during the booth-level meeting in Kanpur on Saturday, said that the party would win with an absolute majority. Meanwhile, political pundits are expecting that the Mathura violence incident will remain the key issue during the poll campaigning.